The Ebro Delta Bays (Alfacs and Fangar Bays) are situated in the south of Catalonia, in north-western the Mediterranean Sea at the end of the Ebro river in Spain. 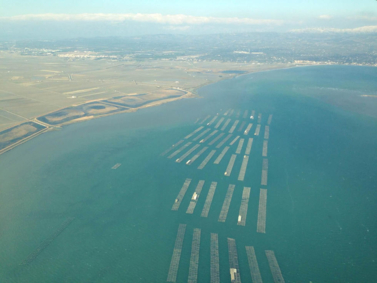 These embayments are the main shellfish production areas of the Spanish Mediterranean area. The Ebro delta is also the second area in importance in Spain after Galicia in the Atlantic coast. The production of shellfish has an important socio-economical value in the area, since more than 200 families are depending directly of such activity, and other sectors such as tourism and gastronomy are depending indirectly. Fangar Bay is located in the north of the Ebro delta, while Alfacs Bay is located in the south. In Alfacs Bay the lowest values of water temperature during the year, on average, are attained in February (10.3 °C); and the highest during the last week of July and the first week of August (28.3 °C). The threshold of 16 °C is on average attained at the beginning of April and middle November. In Fangar Bay the lowest values of water temperature during the year on average are attained in December, during the last two weeks of the year (8.7 °C); and the highest during the last week of July and the first week of august (27 °C). The threshold of 16 °C is attained at the end of April and beginning of November. Alfacs and Fangar receive freshwater from irrigation channels; the input varies during the growing season of the rice. We can distinguish two different periods of the year. The first period from January to April the inputs of freshwater are reduced and the average salinity is higher 35.4 in Alfacs and 34.8 in Fangar at the surface. During the rest of the year, there are inputs of freshwater from the irrigation channels, this has an influence on the average salinity measured, reaching averaged minimum values of 31.5 in Alfacs Bay and 23.7 in Fangar. The main species cultivated are the Mediterranean mussel (3.348 T in 2016), Pacific oyster Crassostrea gigas (283.76 T in 2016), and Manila clam Ruditapes philippinarum (26.5 T in 2015). Furthermore local species such as the grooved carpet shell Ruditapes decussatus, common edible European cockle Cerastoderma edule (5.8 T in 2015), Solen marginatus (6.8 T in 2015) are also harvested in the area. Alfacs Bay has 92 fix rafts for shellfish production, mostly mussels M. galloprovincialis (2.358 T in 2016), however 6 of the rafts produces also C. gigas (7.2 T in 2016). In Fangar Bay, there are 79 fix rafts and most of them are used for C. gigas culture (277 T in 2016), only few are producing mussels (990 T in 2016). Since 2007, production of C. gigas in the Ebro Delta has been affected by mortality associated with the presence of OsHv-1 µvar. Production of C. gigas has then decreased from 815.89 T produced in 2006 down to 138.2 T in 2011. 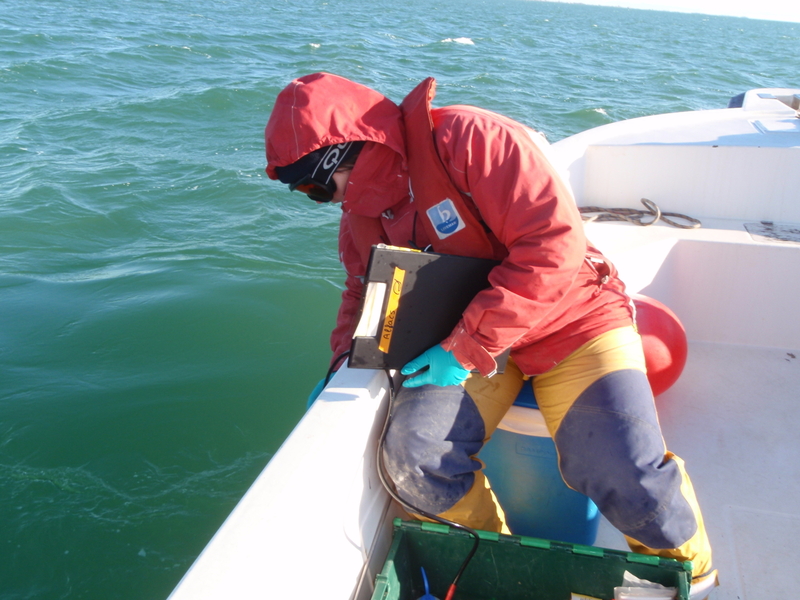 In 2014 the production started to rise up again and is now of 283.76 T. OsHv-1 µvar was first described in the Ebro Delta in 2008 samples (Roque et al., 2012). Since then, the virus is causing mortalities each spring and autumn, mostly in imported naturally captured French spat. These last years (2011-2015), different local studies related to C. gigas management have been developed in the area to minimize the impact of OsHv-1 µvar. 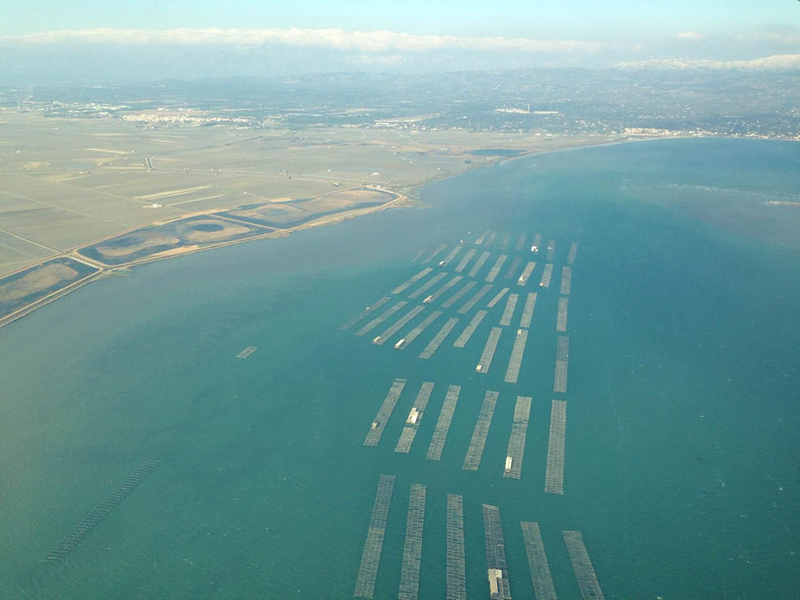 A recent publication has shown that oyster survival during OsHV-1µvar outbreaks can be improved by management measures based on water temperature, size spat and husbandry practices (Carrasco et al., 2017). Ruditapes decussatus and Solen marginatus (Carrasco et al., 2011), as well as in R. phillipinarum and Chlamys varia. The impact of such pathogens on shellfish populations is still unclear as well as their taxonomy and local epidemiology. Vibrio splendidus clade bacteria are often detected in C. gigas, but their presence does not seem correlated with mortality event (unpublished results). Lastly, the specie Marteilia cochillia has been originally described in C. edule in the Ebro Delta in 2008 (Carrasco et al., 2013). Furthermore, other important parasites including Bonamia exitiosa, Martelia refringens, Perkinsus olsenei, P. mediterraneus and P. chesapeaki have been detected in different bivalves from the Ebro Delta area (Carrasco et al., 2008; Elandaloussi et al., 2009; Carrasco et al., 2012; Carrasco et al., 2014; Ramilo et al., 2015), and in some cases they have been associated with mortality events. Furthermore, events of mortality in mussels have been observed at the end of the summer and they are currently under study.